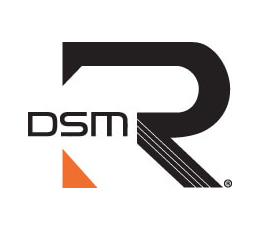 Optimized weight distribution and all kinds of adjustable features make it easy to thoroughly adapt the DX5R's ergonomics to your driving style. *Vehicle must be equipped with a telemetry-enabled receiver and telemetry sensors. Sophisticated programming isn't worth much if it's a pain to use. 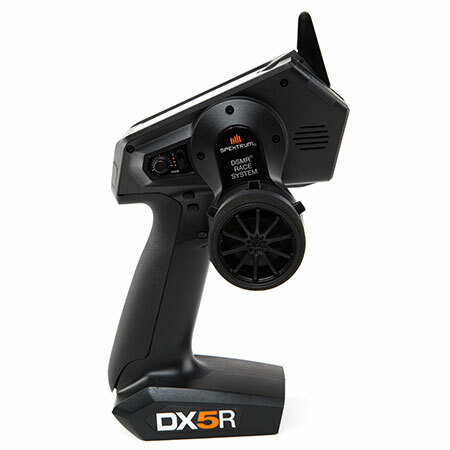 The DX5R's SimpleScroll programming interface makes navigating menus and changing settings as simple as 'scroll and click'. 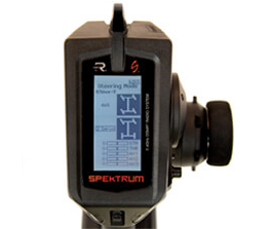 It's so easy to use, most users can complete complex programming tasks without ever having to look at the manual. 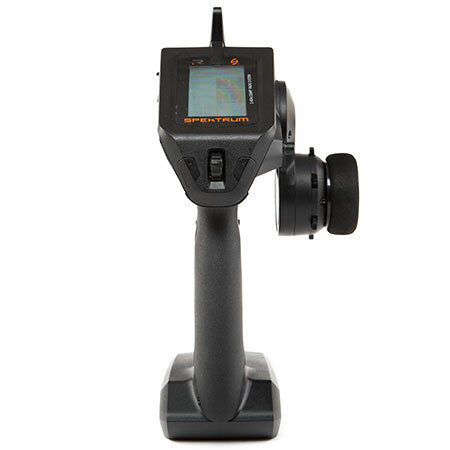 The enormous capacity of the DX5R's on-board memory means you will rarely, if ever, need to juggle models between transmitter memory and your SD card. The model memory menu is easy to navigate too. Only memory slots with model settings saved to them will appear. You won't have to scroll through empty slots or move models around if one is deleted. The built-in telemetry feature can give you real-time information on things like your vehicle's battery voltage, signal quality, motor temperature and more. 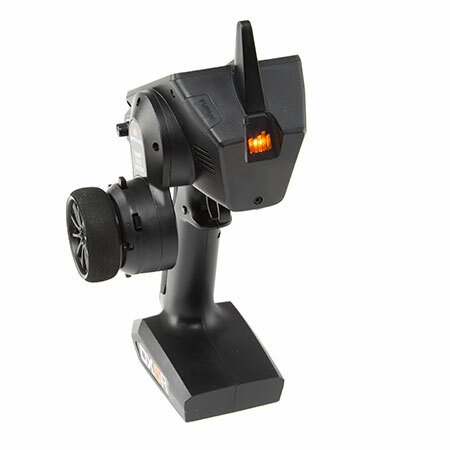 * Using the vibration alert system, you can program the DX5R to notify you when specific telemetry values reach or exceed limits you define. 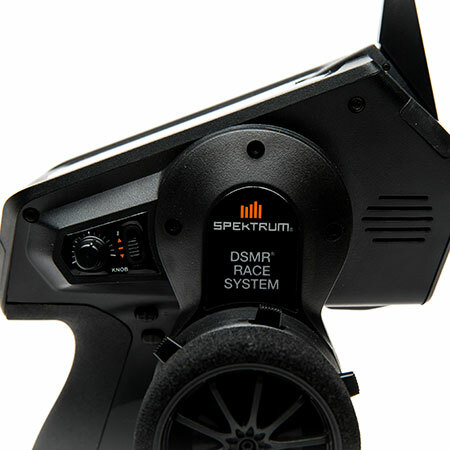 The DX5R is built around frequency-agile, DSMR 2.4GHz technology. 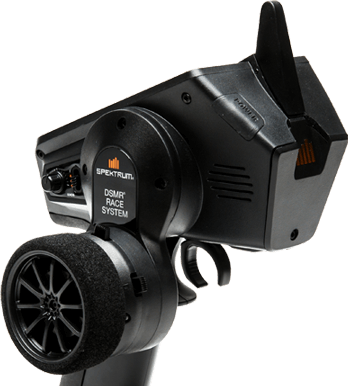 This exclusive Spektrum™ technology can be used in any type of surface application, including boats. 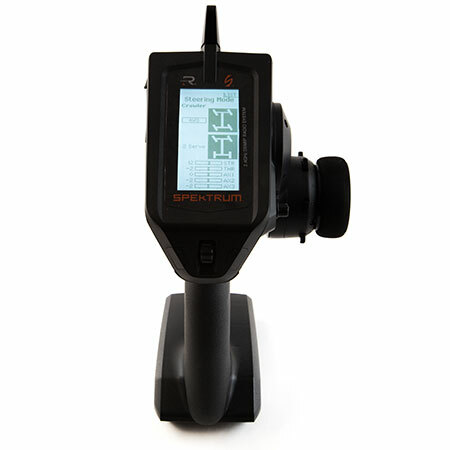 Its range and response, particularly in noisy 2.4GHz environments, are superb. 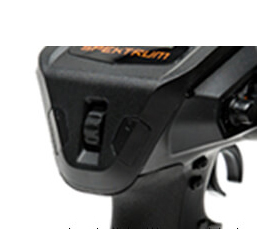 It's also backwards compatible with DSM2® and marine-specific Spektrum receivers. 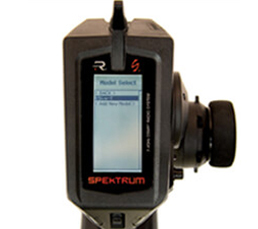 This means most longtime Spektrum users can continue to use the receivers they have. They’ll only need to upgrade if they want the frequency-agility of a DSMR receiver for busy 2.4GHz environments. 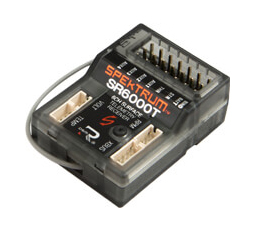 You can take advantage of all five channels and available telemetry functions with the included SR6000T. 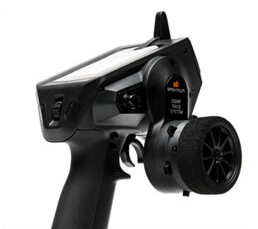 It comes equipped with a built-in telemetry module as well as data ports for voltage, temperature and RPM sensors. An XBus connection for additional sensors is also available. You can select from a variety of vibration alerts for battery voltage and telemetry functions. Most of these can be set to go off when the voltage level or telemetry data exceeds specific values that you define.